With a new year ahead of us, full of exciting events for the U.A.E. 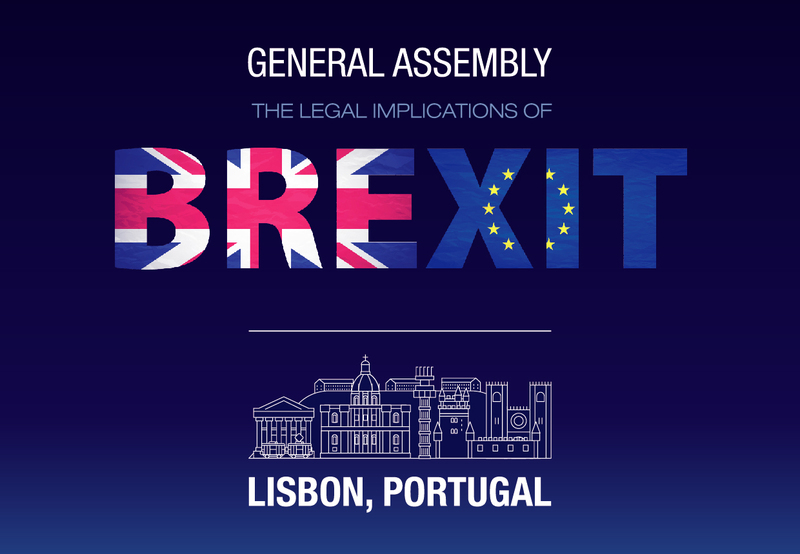 and its members, the Bureau would like to start by recalling the last main event of last year: the annual General Assembly held in Lisbon, Portugal, on 30 November and 1 December 2018. Clear winter sunshine greeted participants heading to the Ordem dos Advogados, the Portuguese Bar Association, in downtown Lisbon, which hosted our conference on The Legal Implications of Brexit in the afternoon of Friday 30 November. 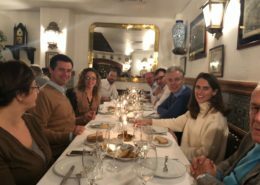 In the beautiful Salão Nobre of the Bar, with its windows overlooking the historic Rossio square, more than 80 participants gathered to listen to two very interesting panels on the intricacies of Brexit. 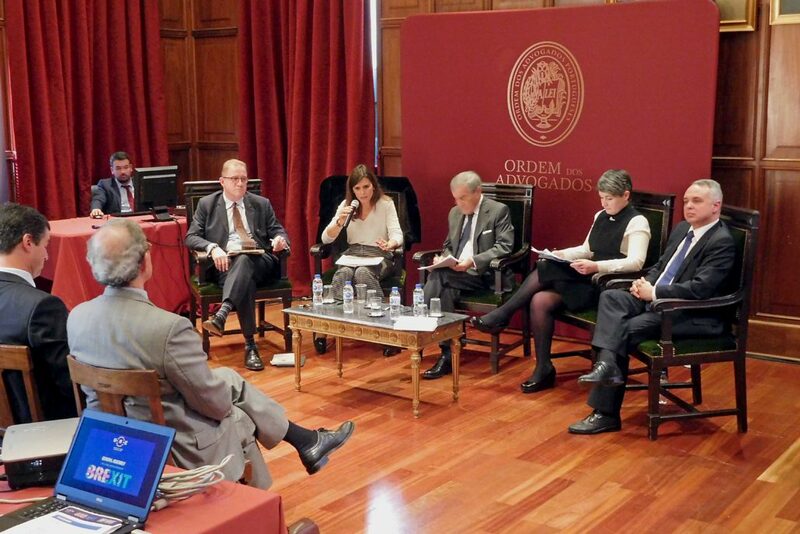 After opening speeches from honorary President Carlos Botelho Moniz, President Agustín Cruz Núñez and Mr António Swalbach, the representative of the Bastonário da Ordem dos Advogados, the first panel debated the issues around Brexit – Withdrawal and Transition, both from the EU and UK perspectives, including the UK Supreme Court Miller judgment and the European Court of Justice Wightman case (in which the Court subsequently delivered a landmark ruling on 10 December). 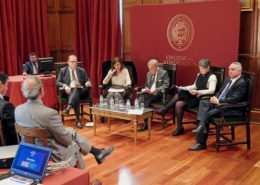 The panel was moderated by former ECJ judge José Luís da Cruz Vilaça and featured Joana Cruz-Schilling from the European Commission’s representation in Portugal, Fergus Randolph QC from Brick Court Chambers in London, Florence Loric from Arthur Cox LLP in Dublin and Bernardo Ivo Cruz, editor of the London Brexit Monthly Digest. 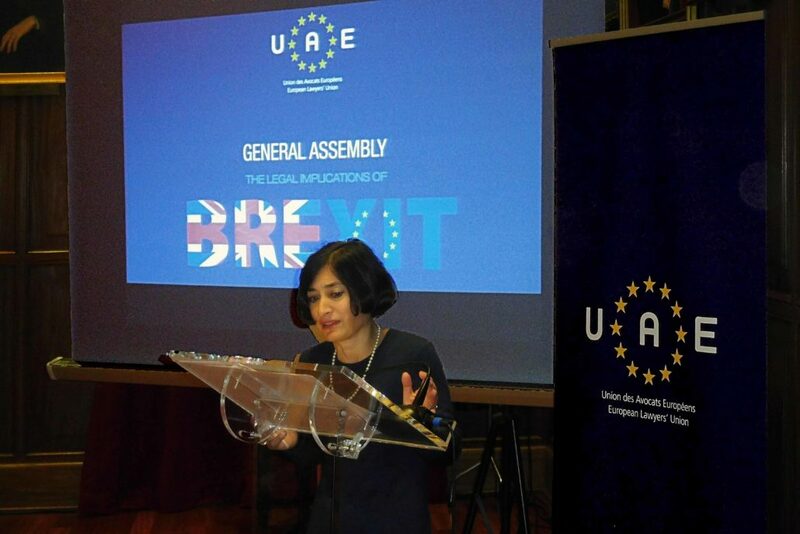 The second panel was entitled Brexit and the Law and was moderated by Pedro Gouveia e Melo, the head of the U.A.E.’s Portuguese delegation. 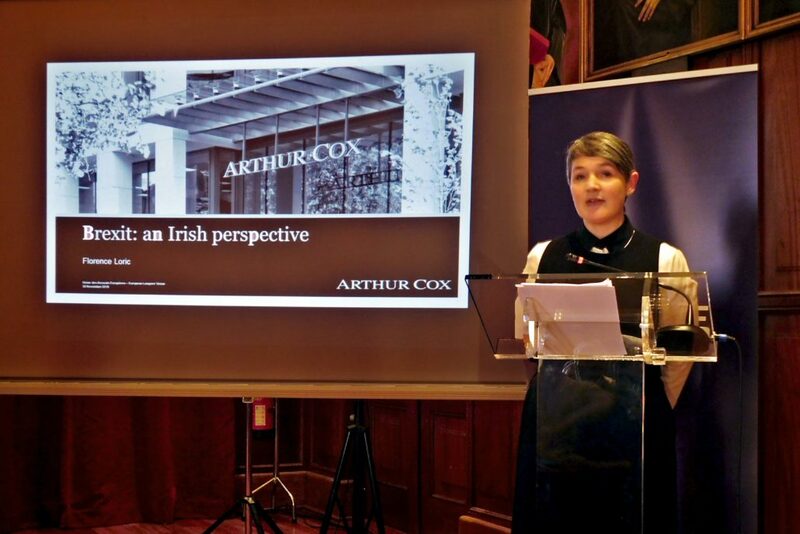 Rita Giannini from the UK Law Societies’ Joint Representative Office in Brussels gave us a thorough overview of the significant impact of Brexit on criminal and civil justice issues, followed by Inês Quadros, from Católica Law School in Lisbon, with a stimulating presentation of Brexit’s implications on the free movement of EU and UK citizens. Nicole Hirst, the President of the U.A.E. 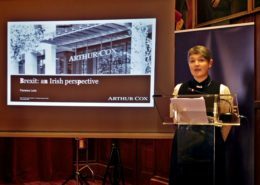 delegation in the UK, then ensued with a thought-provoking talk on Brexit’s consequences for the legal profession. 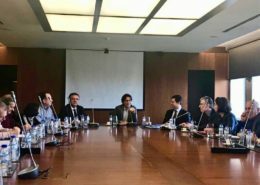 The conference, which included a lively debate with active participation from the audience and was considered a great success, was made possible due to the generous hospitality of the Portuguese Bar, in coordination with the two Portuguese legal associations focused on European affairs, the Portuguese Association of European Law (APDE) and the Circle of Portuguese Competition Lawyers (CAPDC), as well as with the kind support of Morais Leitão, the firm of our colleagues Carlos Botelho Moniz and Pedro Gouveia e Melo. 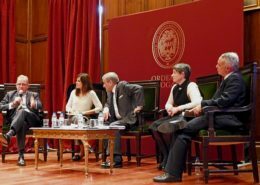 Later on Friday the gala dinner was held on the pleasant terrace of the Grémio Literário, one of Lisbon’s oldest clubs, in the historic Chiado quarter. 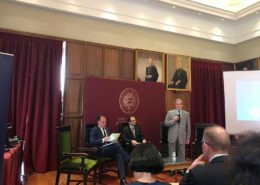 The evening was brightened by several speeches, including that of Agustín Cruz Núñez, the outgoing president of the U.A.E., who presented the gold medal of the U.A.E. to the speakers and moderators, as well as to our longstanding members Paolo Re and Patrick Sorel, for their dedication to our association. The ‘Party Commission’ then took charge and led a sizeable delegation for a taste of Lisbon’s famous nightlife. 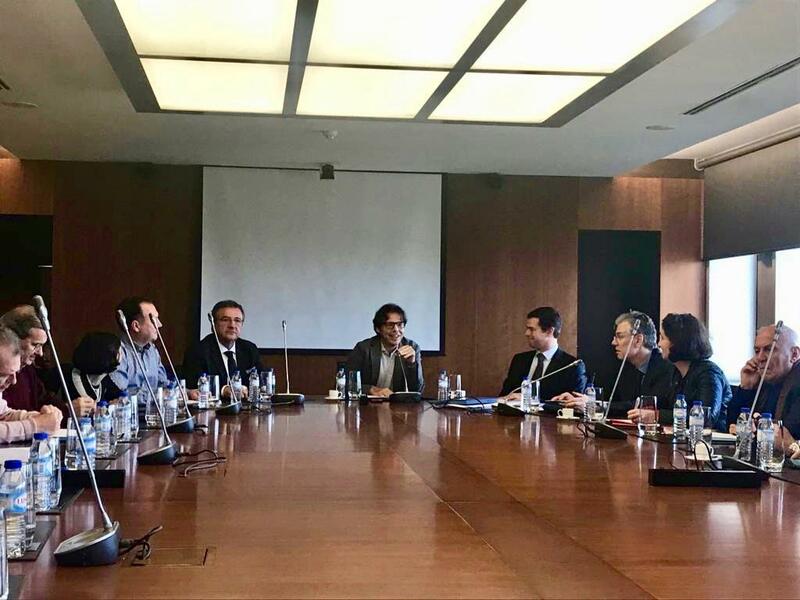 On Saturday morning the General Assembly meeting took place at the offices of Morais Leitão, where a third of the members of the Executive Committee was renewed, with the entry of representatives from Italy, Spain and Romania. 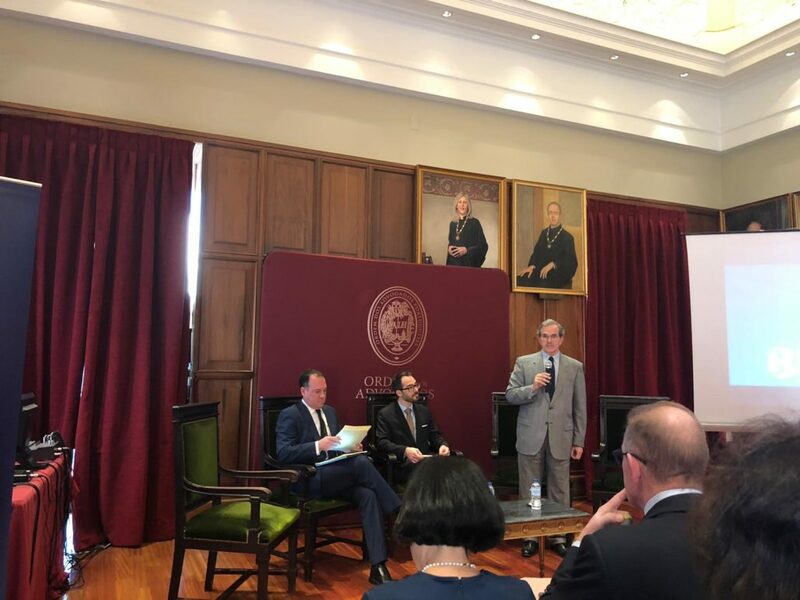 The outgoing President, Agustín Cruz Núñez, delivered his report for the work carried out by the Bureau in 2016-2018 and received the grateful thanks from the Assembly. Finally, in the subsequent meeting of the Executive Committee, a new Bureau was elected for the biennium 2018-2020, headed by the new President of the U.A.E., Gabriele Donà. 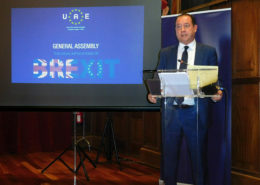 The Committee also set out, inter alia, the bases for the U.A.E.’s next Congress, which will be held in Naples, on June 28, 2019, and will deal with alternative methods of dispute resolution (ADR) in Europe. With the proceedings complete, the members of the U.A.E. 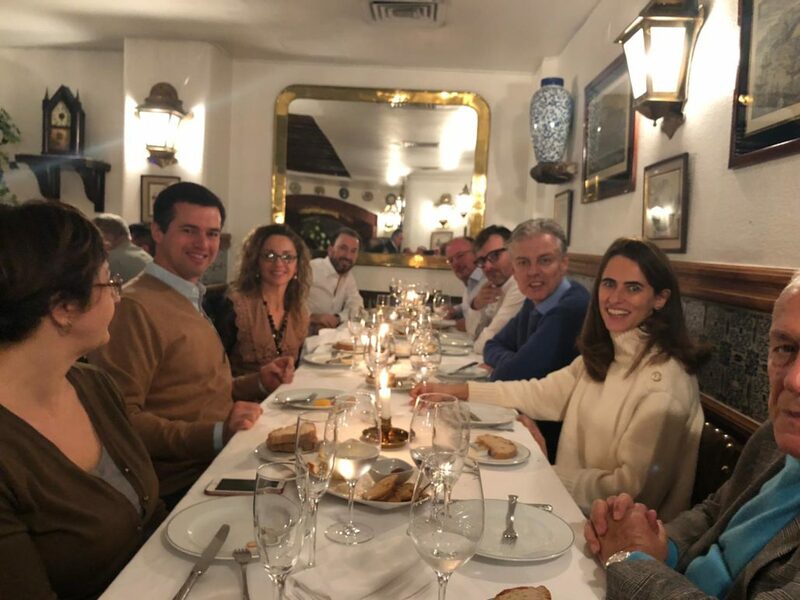 were able to devote the rest of the sunny weekend to the discovering of Lisbon’s many secrets, including having dinner at a typical Fado restaurant to listen to its ancient and captivating music. 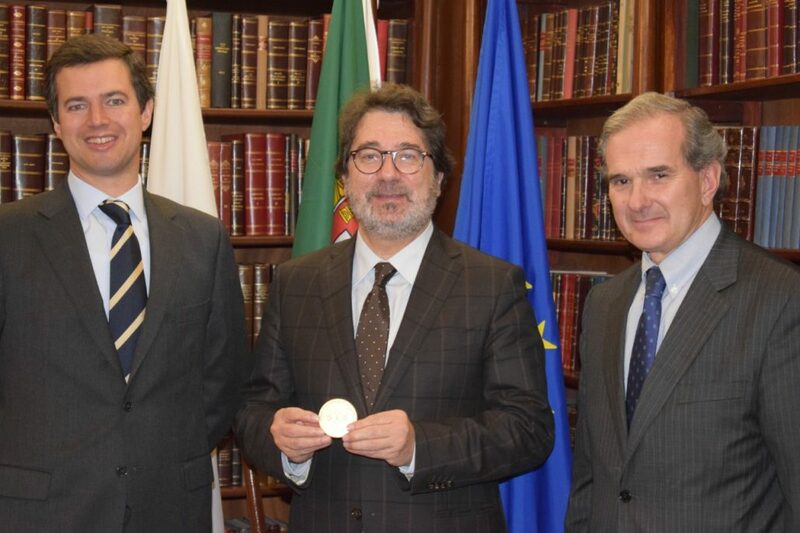 In its meeting of 1 December, the Executive Committee also approved to name the Bastonário of the Ordem dos Advogados, Mr Guilherme Figueiredo, honorary member of the U.A.E., as well as to present him with the U.A.E. gold medal, in thanks for the Bar’s warm welcome to our association in Lisbon. Carlos Botelho Moniz and Pedro Gouveia e Melo subsequently presented the Bastonário with the medal, in an audience reported on the Bar’s website and on the Portuguese press. Again, we wish all our members and friends a wonderful 2019 and hope to see you in June for the forthcoming Naples Congress, as well as in the many events organized by the commissions and delegations of the U.A.E. The Bureau of the U.A.E.